My very first perfume came from Avon: it was a light floral scent in a bottle shaped like a French schoolgirl, from a Disney-inspired "Small World" collection. My second, and third, and fourth fragrances were also purchased from Avon: I wore a lot of Sweet Honesty in my grade school years, as well as Roses, Roses and Pearls & Lace. I haven't tried any of Avon's new releases in a long time, but I've been in an experimental mood so I tried two recent scents. Flor Violeta (above left), which was just launched this spring, is "a sweet surprise of vibrant violet blossoms, sparkling apple and dreamy musk." (It's being sold as Only Imagine outside the United States.) The actress Kate del Castillo appears in some of its promotional materials, and its tagline is "Imagination in Bloom." Flor Violeta isn't exactly "imaginative," to my nose: it's a synthetic-smelling fruity-floral-musk scent whose powdery violet note is less apparent than you'd expect, given the fragrance's name. It reminds me of any number of fragrances I've sniffed at Sephora or Victoria's Secret; to be more specific, something about it resembles DKNY Be Delicious, although it's less tart and juicy. Flor Violeta is easy enough to wear and it's actually pretty quiet on my skin after its first hour or so. It doesn't really bother me in any way, but on the other hand, a violet-based floral could have been so much more interesting. I was hoping for a lighter, simplified take on Balenciaga Paris, so I couldn't help feeling a bit disappointed. Of course, I'm probably not the target customer; many shoppers may love it. Viva does just what it promises: it's a streamlined floral-herbal-woods fragrance with a non-conformist streak. It opens with a greenish lavender accord that smells like a mainstream interpretation of a fougère; it's surprisingly androgynous, in any case. I think I'm also catching something anise-like and something mint-y in the composition. Viva's heart hints at a more typical "fruitchouli," with a cluster of berry-woodsy notes; it's a little more feminine than the opening, but it's still mellower and less pink-and-sweet than your average mass-market fragrance. The lavender deepens, and there actually is some vetiver in evidence: it's on the sheer side, but it's there, and it emerges and endures as Viva develops on skin. In general, Viva has excellent staying power: it lasted through an entire office work-day on my wrists. Overall, Viva by Fergie smells more expensive than it is, and it's unusual without being strident. It could turn out to be a refreshing alternative for women who are secretly partial towards men's fragrances but aren't quite ready to cross the department store aisle. It would work especially well in warm weather, when many gourmand and oriental fragrances start to feel too heavy; and, no matter the season, you don't have to be a Black Eyed Peas fan to enjoy it. All in all, neither of these fragrances quite brought me back to the days of my grandmother's Charisma, my mother's Odyssey, and my own Sweet Honesty, but Avon (like everyone else) has had to stay current, and it's interesting to see what they're up to these days. 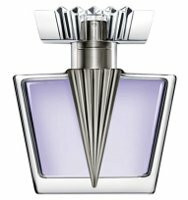 I think Viva deserves notice as an interesting contemporary perfume at a very reasonable price, and I'd be curious to try a few more Avon releases once in a while. Do you have any Avon favorites, past or present, in your collection? Feel free to comment! 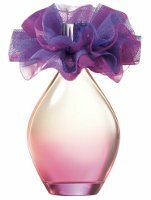 Avon Flor Violeta ($28) and Viva ($30) are both available as 50 ml Eau de Parfum. For purchasing information, see the listing for Avon under Perfume Houses. Avon is going through an interesting phase of executive turnover recently, regrouping, and has abandoned some of their globally targeted markets in South Asia and Ireland. New north American vp is from Rubbermaid. Coty made an offer for them last year, but was turned down. Recent pressure to make the ingredients of all their products more ‘green’ was resisted in a stockholder vote a week or so ago. Interesting times for this company. That *is* a lot of activity! Hope things will all work out, for Avon and for their customers. I was not raised with any familiarity with Avon products–my step-mother was an old, no-bra-wearing hippie, so beauty products were few and far between! So, the only occasions in which I encounter Avon fragrances are estate sales with those old, tacky bottles. I would try the Fergie scent if I ran into it, but not sure I ever would! How *does* one encounter Avon products these days? Do they still do door-to-door sales? Marjorie Rose, I don’t think they go door-to-door anymore — but the line is still sold through local “Avon Representatives,” who can be located through the Avon website. I occasionally spot some Avon products for sale in a neighborhood five-and-ten or flea market, but I’m not sure how legit that is, under Avon regulations! … and their website actually does seem to have an online shopping option now, which I didn’t realize. Interesting! I think they still sell through “Avon Ladies” (Although the first sales rep I came across was a young man at my college). In fact, that selling technique was the reason why Avon became a target for purchase- Coty wanted their Avon ladies in South America where people are more likely to trust their neighbors than ads. It also may be why they hired a tupperware executive to revive the company. If you work at a company, some of the office staff are Avon Ladies (or Gents) on the side. Check your lunch room for discretely left fliers. We have a set of (three or four, I think) who got together and rented a space in one of our malls, and it’s been there for years, so I don’t think that Avon minds so much the alternative distribution methods, so long as AVON is prominently displayed. And it is, those ladies shelled out for an absolutely enormous sign! Well, that’s pretty enterprising of them! Jillie, I don’t think I ever tried Moonwind, but I remember the name—I thought it was so poetic! I love many of those names—Cotillion, Bird of Paradise, Here’s My Heart! So romantical. Viva by Fergie is available for $10.00 at Amazon.com. Aha! Yes, it is, via “ClassyGiftShop.” Well, caveat emptor! I generally have warm fuzzies toward Avon – my mom nearly always hands me the brochure when I come home for a visit and says “Let me know if you want something from Rita.” I’ve been telling her to get me lipsticks and nail polish mostly (their nail polish is GREAT quality for the price! ), but maybe I’ll try a perfume. I’ve been really curious about a couple of the Fergie perfumes – I think the first one had a leather note? Aw! I recently flipped through a brochure, which brought back memories of my pre-teen years, when I used to read my mother’s copy religiously. I ended up wanting some lipsticks and sunblock and the famous Skin So Soft oil! Oh, I’ve been craving some of that Skin So Soft oil, too, actually. I have mixed feelings for Avon these days. I feel they are capable of great things but spread themselves too thinly. It’s been a long time since I loved an Avon scent. The last one I loved was Timeless, which was a brilliant 70s style spicy chypre. Naturally, they discontinued it last year. I find so many Avon scents smell the same and are weak in quality, yet still they launch new fruity florals month after month. Like I said, they could be great. Look at Yves Rocher- budget perfume of very good quality with not too many fragrances in their range. Avon could do wonders. I wish they would. Maybe I just got lucky with Viva? I haven’t tried any other recent releases. I’m glad to see that they still carry Candid and Sweet Honesty and Odyssey (although they may very well have been reformulated at any point). Unfortunately, the shift from rich, complex scents to light fruity-florals has happened at all price points… e.g., Miss Dior! When I first heard of Faraway, I had to have it because of the name! On opening it: pleasant surprise, because it smelled of a colleague, who I always thought was very exotic. That bottle got stolen. Years later, I was excited to spot a lonesome dusty bottle of Faraway in a chemist. I feel there is only a trace left of the original. It’s sort of “over” so soon! Not sure if its due to my now more experienced nose, a bottle that has been in the shop window too long or reformulation.Faraway is now far, then away. I don’t think I’ve ever tried Faraway, but I like the bottle with its little tassel. I wonder whether it’s been changed… again, that’s something that’s been happening to so many brands over the past decade-plus. My mother “sub”sold Avon (got orders for the Avon Lady from among her friends and got 10% off her own my whole childhood in the 60’s/70’s and I started selling myself in the 80’s/90’s. I have the fondest memories of the old scents- Cotillion (my grandmother wore it–quite racy for older ladies back then! ), Charisma/Moonwind/Topaze my Aunt Lil and my mother wore all the single note florals like Lilac, Jasmine, Lily of the Valley, Roses Roses, Raining Violets, Lemon Velvet, Honeysuckle, Hawaiian White Ginger…..such fond memories! I played with the beautiful foil and art empty boxes as a toddler–building castles and doll houses, using the empty bottles and children’s cologne lines (Pretty Princess? Pretty Peach…) beautiful cream jars made like fountains with filament “water” spouting from the tops or gemstones sparkling or “Puf-n-Stuf” magical trees of cologne and powder puffs and bubble baths….such girly girly pretty things (and not all pink and sugary either! Some of those colognes I would wear today!) Tiny lipstick samples and perfume sachets in my underwear drawer even before bras! Bathtub toys with bubble bath and shampoo that I can still smell the unique “Avon-ness” of. Soaps and talcs and body splash and body creams…. strawberry and chocolate and cola and pink lemonade lip balms with mirrored cases of girls faces from around the world….cute locket pins with solid perfume….Bird of Paradise, Here’s My Heart, Field Flowers, Blue Lotus (I still look for something similar! ), then came the 70’s with Sweet Honesty (made me nauseous), Candid, Timeless….80’s saw Odyssey and Foxfire and Ariane, Willow (my sister still searches for something similar!) and Fantasque their first designer frangrance, Imari and 90’s Far Away, Rare Gold (bleh), Rare Rubies (unmatched by anything since! ), Rare Pearls (eh.) Mesmerize for Women–better than Boucheron in my opinion! ….so many! I know Avon is the joke of the perfume community, but it smells like all the good times of my life. RavynG, so many of us seem to have early fragrance memories centered around Avon! I bet I’d like many of those now-vintage fragrances if I went back and tried them. I suppose Avon has always followed the higher-end fragrance trends, and when chypres and aldehydic florals were “in,” Avon made some lovely ones, and now that even the expensive department store brands keep cranking out bland fruity-florals, it’s hard to ask more of a company that sells “budget” fragrances… alas. Sign of the times, right? Still, Viva is a nice surprise for me! Maybe there are some others lurking in the current line. I recently found a full bottle of Charisma (shaped like a cat, of course) at a secondhand store. And you know what – it smells great. Kind of a sweetish/spicy musk with that buttery quality some older perfumes have. A little floral/soapy too, but doesn’t actually smell like soap. I’m impressed. And excited – I’ve never found vintage perfume in the wild before – only on ebay. They don’t usually sell it around here. So much fun! That’s a great thing about Avon — so many women were able to purchase from the company that there are still plenty of vintage bottles waiting to be discovered at garage sales and flea markets! Platinum, such fun memories! My mother recently unearthed a few of my/our vintage Avon decanters. I’ll have to photograph them and post them somewhere. A Sweet Honesty skunk is included! I had an Avon fragrance called Jamoca Soft Musk during the late 1990’s that smelled much more expensive than its cost. I wish they would bring it back. PekeFan, I just remembered that my mother had a bottle of the original Soft Musk (in the tan glass bottle with the swooping lines)! That was a nice one, too. I never tried the Jamoca version. PekeFan, Just last week I was thinking about Jamocha Soft Musk. Only Avon perfume I tried that I finished a whole bottle of, and of course it was discontinued when I tried to buy more. I regret missing Absynthe by Christian Lacroix for Avon, which sounded interesting and got some love on the perfume blogs.